The subject of bee pollination, and pollinators generally, is prominent in headlines across the globe. At this time, many bees and pollinators are experiencing declines, causing concerns about the impact on food production and eco-systems. The links on this page explore the importance of bees as pollinators of different flowers and plants. Some explore related themes, such as how bees collect pollen, what pollen is, and whether we should purchase commercially reared bumblebees for our gardens for the purposes of pollination. This page considers the monetary value that bees add to the global economy, although in reality, the value and importance of bees on the planet is immeasurable. All the different types of bees pollinate flowers, and here we look at some of them. Honey bees are the most commonly exploited bees for use in commercial pollination of farm crops and fruit trees. This page explores the reasons why. Bumblebees are well known for flower and plant pollination in our gardens. This page explores some of the reasons why bumblebees are perfectly designed to be excellent pollinators. Wild Bees - Why Do They Matter? A look at the importance of wild bees as pollinators. If bees disappear, can other insects do the pollinating? If bees decline further, can other insects simply step in to do the job of bees, and pollinate our food crops? The practice of rearing honey bees and selling them is common practice. But wild bees are now being bred for pollination, and this may seem hypocritical, but it makes me uneasy. Find out why on this page. There are variations - and some bees don't collect it at all. We know they collect it, but why do they need it? Bees are not the only pollinators: other insects, birds and mammals may also play a role. How do plants attract their perfect pollinators? 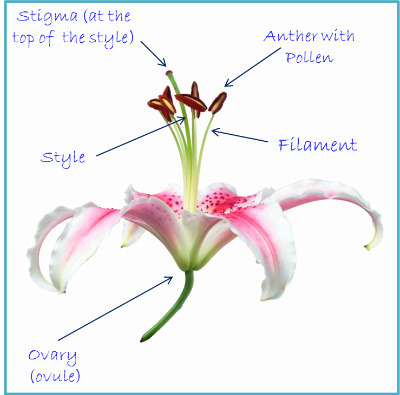 An introductory explanation about how flowers are pollinated. Discover the important contribution of insect pollination. 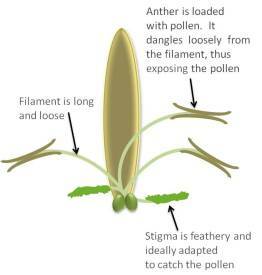 The Plant Pollination Process Click here to learn more about the pollination process, as well as the different types of pollination. Which kinds of crops don't rely on insects or other creatures, and instead are pollinated by wind? A description and diagram of the process. ....and what are it's uses? Some people use bee pollen as a health supplement. Personally, I am not convinced, but there is more information and links here. Bees and other pollinators engage in nectar robbing and secondary robbing. Habits of bumblebees when foraging. You can also read more about this on my page about How Far Will Bees Fly? Beautiful videos of various creatures; bees, bats, butterflies, hummingbirds, pollinating flowers and food crops.